Am off to London tomorrow until Friday so don't expect to hear anything from me while I'm gone. The fact that I'm not visiting your blog doesn't mean I've forgotten you, I'm simply otherwise occupied. 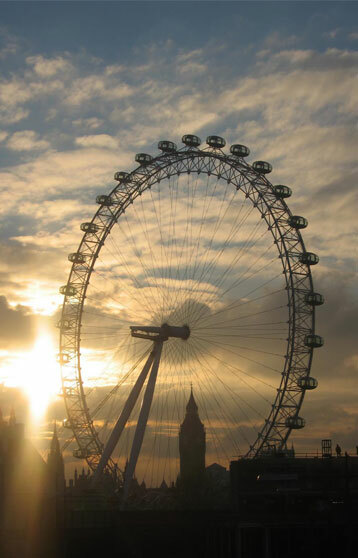 I'll be riding The Eye, seeing Whistle Down The Wind at the Palace Theatre, hanging out in Trafalgar Square, visiting the National Portrait Gallery and doing all sorts of other touristy stuff. Nothing much to report on the writing front. I've been too busy getting my paid work wound up before I leave to put much into the book but I've made notes and written another couple of hundred words. Not a lot, I know, but a little is better than nothing, yeah? The laptop will be coming with me so that I can write while I'm stuck on my pump during the mornings. I could go long-hand but I know I'd just end up with cramp in my fingers so I'm better off with the lappy. What else? Nothing much at all. It's too hot to even think, let alone do anything. Today I'm going to head you in the direction of Trish Wylie's blog. She has a really interesting 'course' going to help us newbies understand more about the mechanics of writing. I've been following it so far but haven't the time to read the latest installment as I really have to log off and get on with baking a cake now. Nip over and have a look, though. She's being lovely for sharing her knowledge with us. Will see you all when I get back. Have a fabulous time, Sharon! Ooh lucky you! (I'm long overdue my London fix). I know you'll have a fab time, enjoy yourself, and take care! Have a great time Sharon! Love the pic. Are you ever coming home??? ?